For whatever reason I never got around to posting these from last year’s Anime Expo. 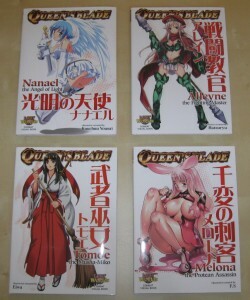 Hobby Japan had a booth at AX 2010 and was selling these four Queen’s Blade game books in English. 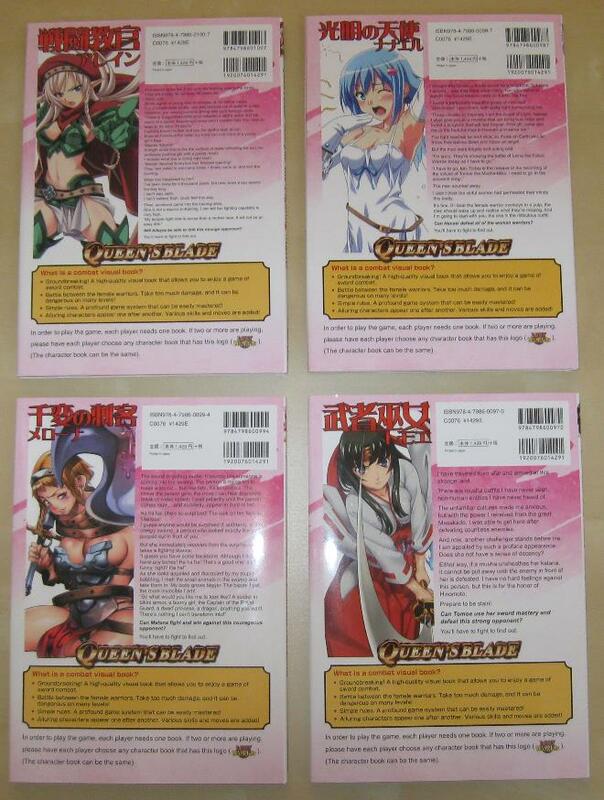 They are essentially the same as the Japanese version (same art, etc.). Sadly it looks like these may have been it even though there was mention of releasing more it seems nothing has materialized. It also doesn’t look like they will be back for AX this year so any chance of asking is pretty much nil. 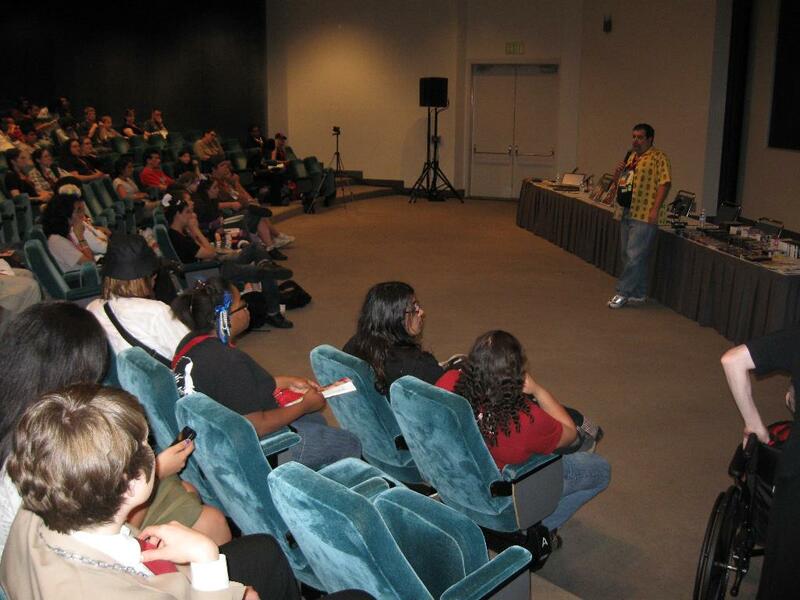 Also in this set are some pictures from the panel(s) I did at last year’s AX on laserdiscs and collecting anime. One shot makes it look like there were a lot of people there! It’s too bad they didn’t make any more of these English language versions. It looks like it was a failed project. Though from what I have seen, most of these books are art heavy anyway, so even if you imported the JP version it would be basically the same.